you save 11 % / 51,00 EUR 19 % VAT incl. This trailer is simple. 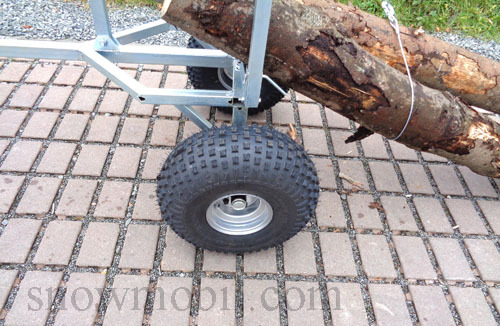 Thus, you can pull comfortably trunks from the forest with small ATV's or mini tractors. 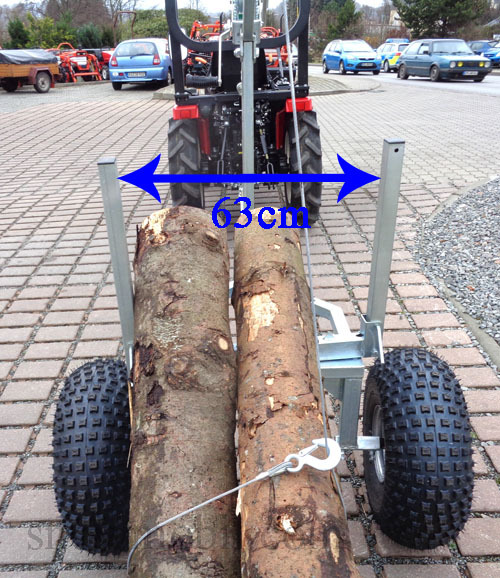 It's simple: If you hang 2 trunks directly in the rear three-point linkage of small tractors the tractor can raise the front wheels and the tractor tilts due to the weight transfer to the rear. 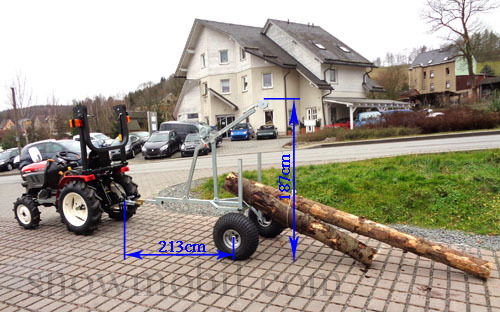 With this trailer for timber the possibility of tilting of the tractor is excluded because of the long shaft. 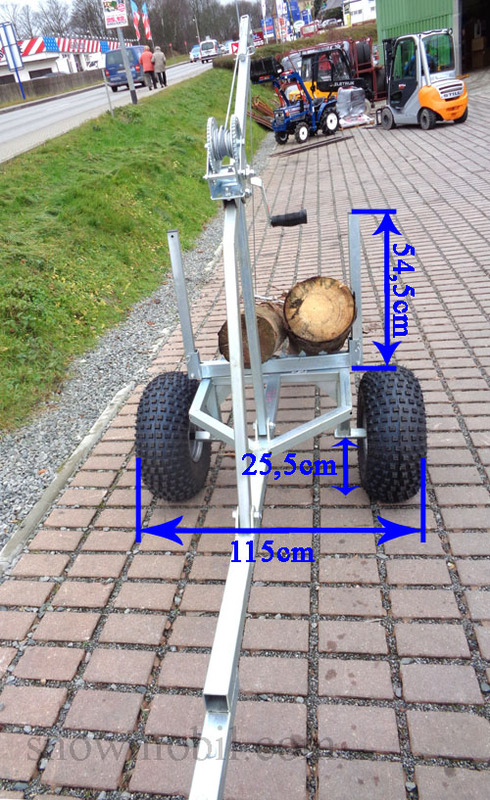 The Logging trailer is fully galvanized. The two stanchions are rotatably mounted in the center. 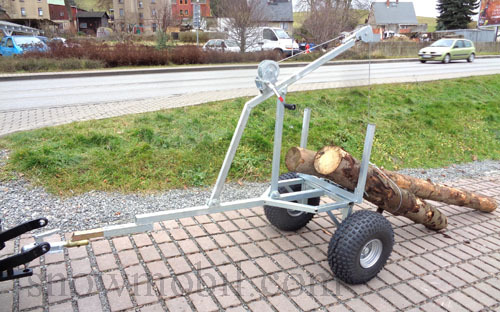 Using winch you can pull the wood to the logging trailer or on the back and lock for transport.